Asheville is a breakfast town. Whether fueling up for an adventure in the mountains or nursing a hangover from last night’s brewery hop, people in Asheville know the importance of the first meal of the day. Case in point: the insane number of breakfast options in the city, which can be daunting for locals and visitors alike. 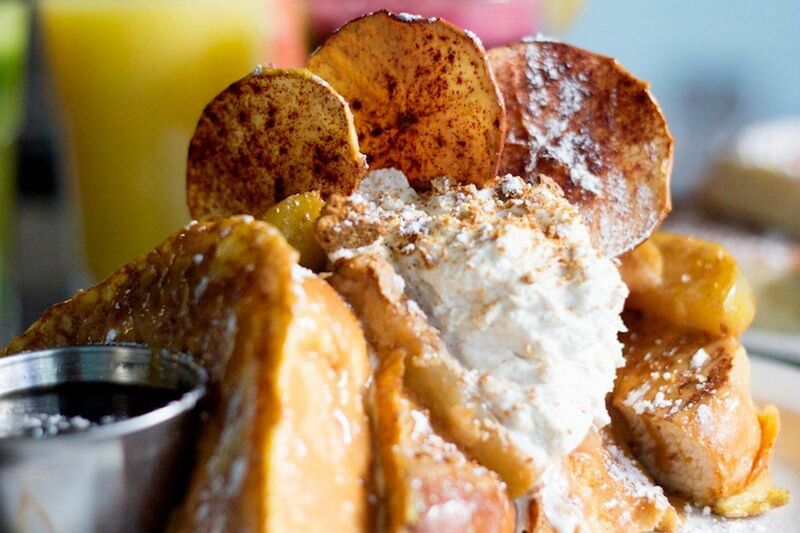 These are the eight best restaurants to eat breakfast in Asheville, North Carolina, as well as what to order at each place. Established in 2013, Biscuit Head is husband-and-wife duo Jason and Carolyn Roy’s take on classic Southern breakfast food. Their Biscuit Head enterprise has since grown to three Asheville locations; one restaurant in Greenville, South Carolina; and a Biscuit Head cookbook. So what makes this place so special? It all starts, naturally, with the biscuits. Made in the traditional Southern “cathead” style — so named because they’re about as big as a cat’s head — Biscuit Head’s enormous, fluffy, golden beauties are the Southern staple at its best. Specialty biscuits are piled high with anything from brisket and pickled onion to mimosa fried chicken and sriracha slaw. Top it off with one of over a dozen specialty jams and preserves at the jam bar, or get a flight of three gravies with flavors such as espresso red eye and sweet potato coconut. A word of caution: Servings here are so massive that this may be the only meal you eat all day. Where to go: The West Asheville location at 733 Haywood Road. Just be prepared to wait, as it’s not unusual for lines to wrap around the block. 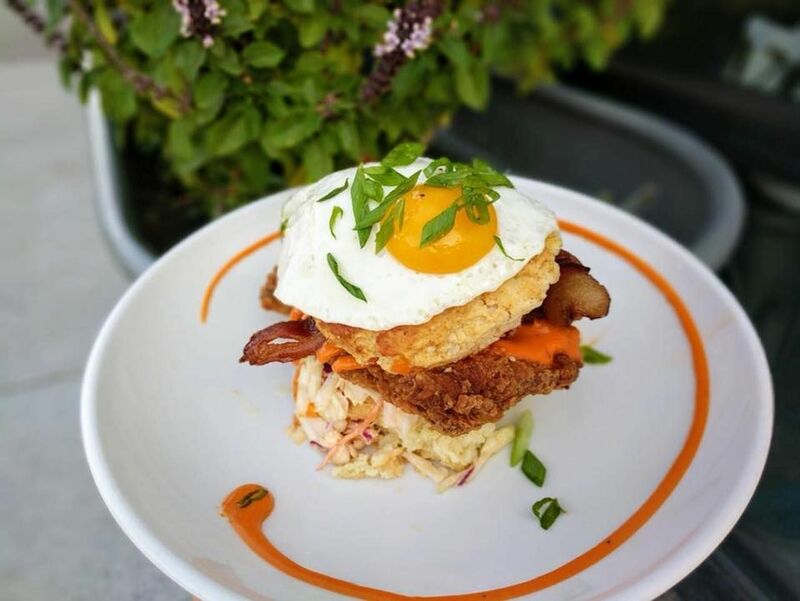 What to get: The Pulled Pork Biscuit, piled high with slow-roasted pork, jalapeño pimento cheese, bacon, poached egg, and topped with maple syrup. Wash it all down with locally roasted PennyCup coffee or the house specialty Maple Bacon Latte. 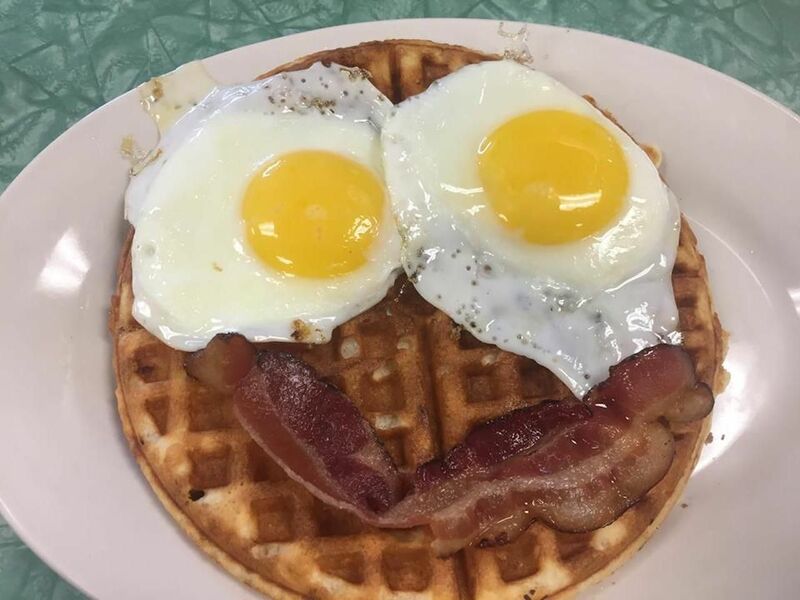 Located on the cobblestoned Wall Street across from the historic Flatiron building, Early Girl Eatery has been serving up made-from-scratch Southern breakfasts since 2001. Using locally sourced ingredients, Early Girl features new specials every day, as well as a seasonal menu. The restaurant was farm-to-table before it was cool, and while the menu is rooted in Southern tradition with classics like biscuits and gravy and shrimp and grits, there are also vegetarian, vegan, and gluten-free options. Breakfast is served all day, seven days a week, but as with all good things you may have to wait. This popular spot can be slammed on the weekends. Where to go: While the downtown location at 8 Wall Street is charming, the crowds can be an issue. 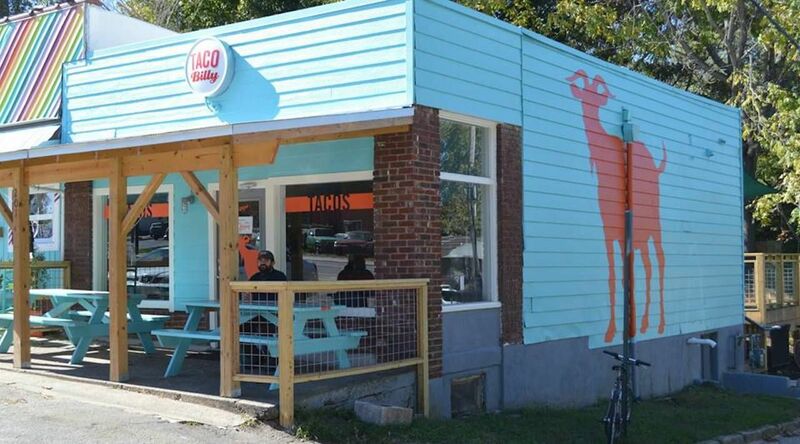 For a shorter wait time, try the new West Asheville location at 444 Haywood Road. What to get: Spinach and potato cakes topped with tomato gravy and served with two eggs any style, plus a biscuit or toast. Have a cup of organic Dynamite Coffee, roasted in nearby Black Mountain. Sunny Point Cafe is the preeminent brunch spot in trendy West Asheville. Cozy and charming, Sunny Point’s limited seating is often dwarfed by its crowds. But don’t let a long wait turn you away. The shady patio waiting area is one of the most-Instagrammed spots in Asheville, and you can enjoy a coffee or Mimosa while you wait. There’s even live music on the weekends, making the wait as much a part of the experience as the meal itself. During the growing season, chefs source ingredients from the garden plot adjacent to the restaurant. 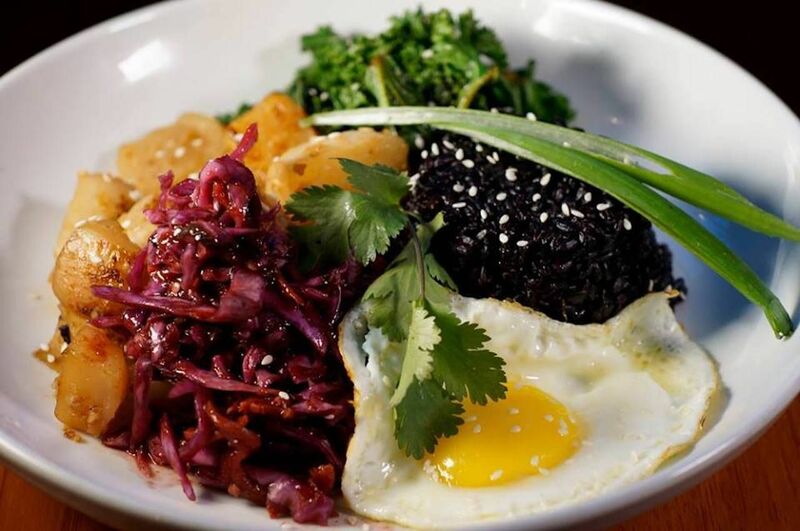 The eclectic menu borrows from Mexican, French, and classic American cuisine, and if you ended up waiting past noon, don’t worry — breakfast items are available all day. Sunny Point is more than just a force for good food. It’s also a source of good in the community. Every table features a donation envelope in which customers can leave a gift for the local charity of the month. Sunny Point will pass along all donations and match up to a certain amount per month. In 2018, the restaurant raised $20,517 for environmental non-profits, disaster relief, and more. Where to go: Sunny Point is located at 626 Haywood Road. What to get: Try the massive breakfast burrito, filled with eggs, chorizo, chiles, peppers, and onions, and topped with red salsa and cilantro crema. If you’re not too buzzed from that mimosa you had while you were waiting, try the craft Bloody Mary. In the heart of Asheville’s bohemian River Arts District, this modern coffee shop with a full espresso bar serves up house-made pastries and baked goods along with some of the best breakfast sandwiches in all of Asheville. 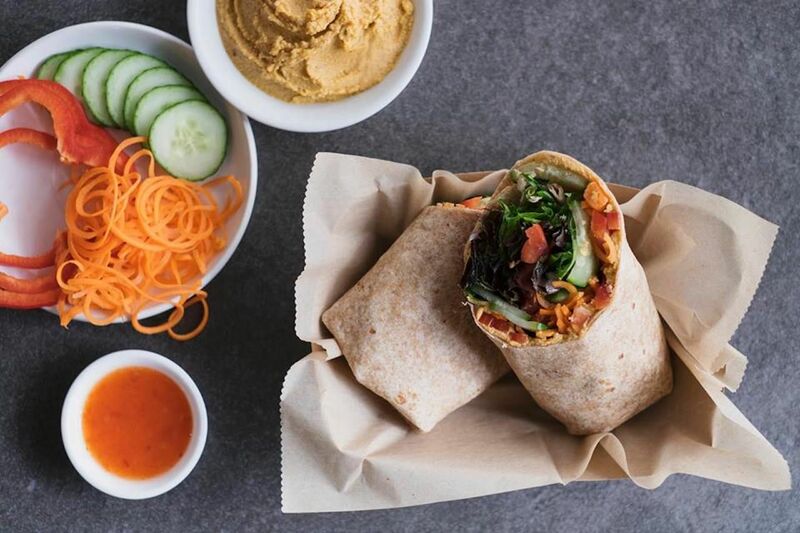 Ultra Coffee Bar also has some of the best vegetarian and vegan options, such as the Viva la Vegan bagel with tofu egg and vegan cream cheese or the Vegan Rad with tempeh bacon and a balsamic glaze. If you eat inside, check out the dozens of artworks for sale, all created by local artists. Sit outside when the weather is nice and watch the trains go by, then take a walk to some of the nearby art studios, such as the Odyssey co-op ceramic gallery or the North Carolina Glass Center. Where to go: Ultra Coffee Bar is located at 242 Clingman Avenue. What to get: The Brekkie Wrap: sausage, egg, cheddar cheese, spinach, tomato, and chipotle mayo, grilled and pressed in a spinach herb tortilla. To drink, try one of the specialty coffee drinks, such as the Nitro Cold Brew or the Rick James, which is a double shot of espresso with Mexican coke and vanilla syrup. In a food scene dominated by craft aiolis, artisanal goat cheeses, and avocado everything, Tastee Diner is refreshingly unpretentious. A classic, no-frills American flat-top diner, Tastee Diner may not have the most innovative menu around, but the place knows what it is, and the chefs cook up a damn good breakfast. With lots of fried eggs, breakfast meats, potatoes, and waffles, it’s true-to-form greasy spoon fare done uncommonly well. If the weather is nice, the picnic tables outside are excellent for people watching on West Asheville’s busy Haywood Road thoroughfare. Take a look at the vintage photos of Asheville inside to see the way it was before breakfast food was trendy. Where to go: Tastee Diner is located at 575 Haywood Road. What to get: It’s hard to beat the Hangover Hash-browns, a big pile of breakfast potatoes topped with two eggs, cheddar cheese, chili, and onions. And if you really are nursing a hangover, get yourself mimosas served by the pitcher. Drive around Asheville for long enough and you’re sure to see an orange goat sticker slapped to the back of someone’s Subaru. That would be the calling card for TacoBilly, the newest adventure for journeying owners Hunter and Beth Berry. A product of their Texas roots and the four years they recently lived in Mexico, TacoBilly’s menu mixes Tex-Mex fare like migas and agua fresca with down-home classics like bacon and potatoes. Handmade tortillas are sourced from a local tortilleria, and most meats, eggs, and cheeses are sourced from local farms. The Berry’s obviously went all-in on the goat theme. A giant orange goat mural covers the side of the blue building, and on the inside, an assortment of thrift-store oil paintings on the wall are dotted with the restaurant’s bright orange mascot. Many of the menu items are even named after famous “Billy’s.” Seating can be tight inside, but the cozy patio out back is the best place to sit anyway. Where to go: TacoBilly is located at 201 Haywood Road. What to get: The tacos are filling, but they’re so tasty that you’ll probably want two or three. The migas — piled high with fried tortilla, eggs, onions, tomato, jalapeño, and cheese — is a must, and you can’t go wrong with the Billy Joel: a classic combination of bacon, egg, and cheese. Wash it all down with a cantaloupe agua fresca and some PennyCup coffee. 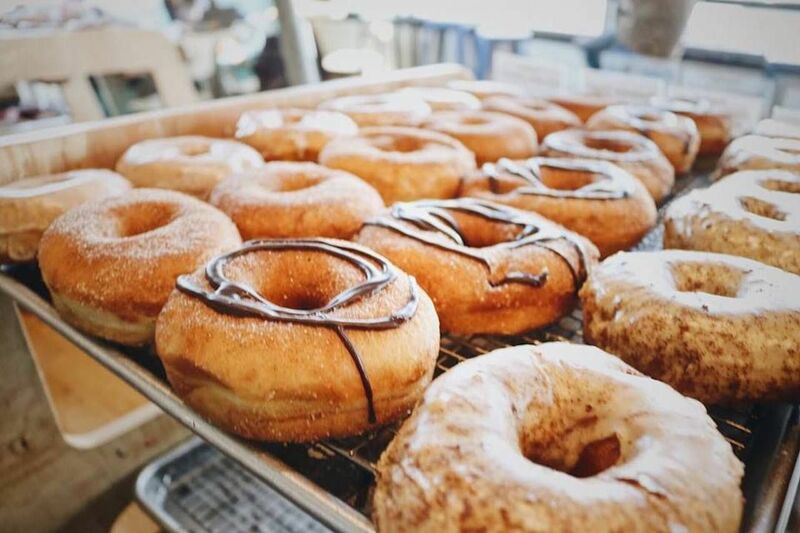 The only doughnut shop to make the list, Vortex is located in the same building as the award-winning Buxton Hall BBQ and local favorite Catawba Brewing in the bustling South Slope area of downtown. Made with flour sourced from a local mill, Vortex offers cake, yeast, and vegan doughnuts in a variety of flavors, glazes, and toppings. The offerings rotate on a weekly basis, but you can expect creative treatments like cream cheese thin mint or blueberry streusel. The spot has even been known to use malts from local breweries. Vortex also features a full-service espresso bar with barista creations. Where to go: Vortex Doughnuts is located at 32 Banks Avenue. What to get: The menu changes weekly, but keep an eye out for anything that has a glaze featuring nearby French Broad Chocolate Lounge products. 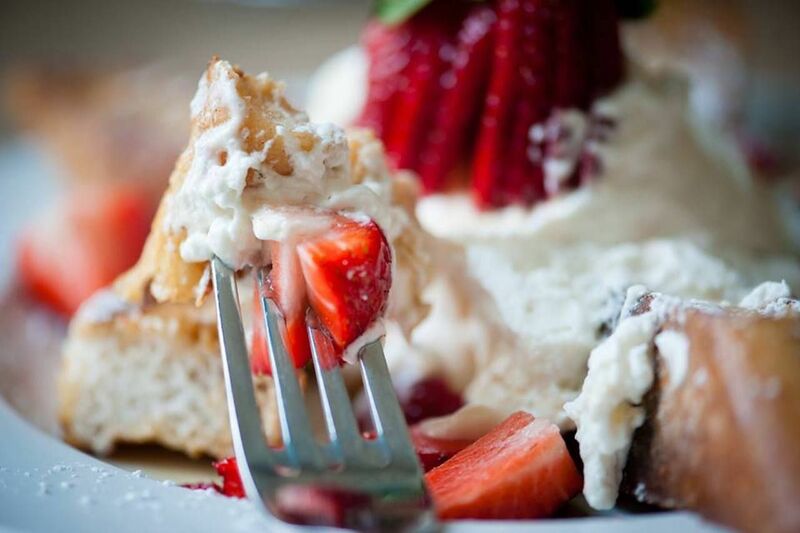 Conveniently set in downtown Asheville, Over Easy Cafe is where to go for locavore cuisine. The coffee comes from Asheville-based Mountain Air Roasters; the bread comes from local favorites West End Bakery; and the eggs, meat, dairy, and produce come from nearly two dozen local farms and growers. As a result of this local sourcing, the menu changes with the seasons. The menu changes so often, in fact, that it’s not even posted on the website — you’ll have to check social media to see what’s cooking this week. But no matter what season you visit, you can expect fresh takes on classics such as omelets, benedicts, scrambles, and hashes, as well as an assortment of fresh juices and smoothies. The menu is also accommodating to gluten-free and vegetarian diet restrictions. Over Easy Cafe is a cozy little joint and a local favorite, so you may need to wait for a table or space at the bar. If you’ve got some time to kill before being seated, head down the street to MTN Merch and browse the collection of apparel, CBD products, photography, and more. Where to go: Over Easy Cafe is located at 32 Broadway Street. What to get: The menu changes often, but it’s likely to have a breakfast sandwich served on fresh, locally baked bread. Get yourself a seasonal side and a fresh-squeezed juice to wash it all down.